The Ipad is amazing but sometimes a little confusing . 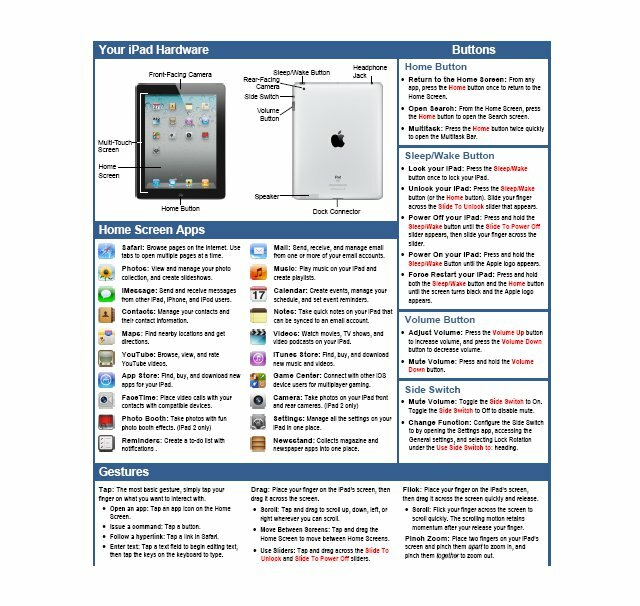 These useful Ipad Hardware Crib cards will show you what the Ipad Home screen App Icons mean and do. 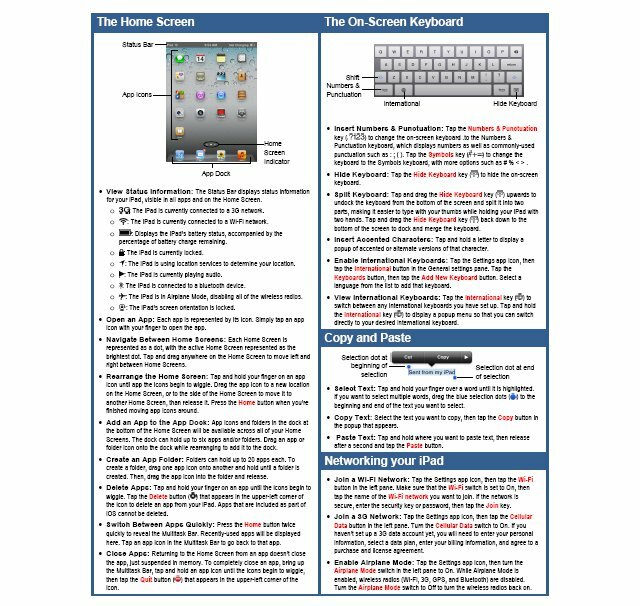 Tell you what each of the Ipad 2/HD hardware buttons do,help you find your way around the Ipad home screen , give you advice about using the Ipad keyboard and how to copy and paste using the Ipad software. This is worth reading, thanks.